Licking County Joins The Big Give! The Columbus Foundation’s 26-hour online giving rally! All credit card fees covered–100% of donations go to charity! 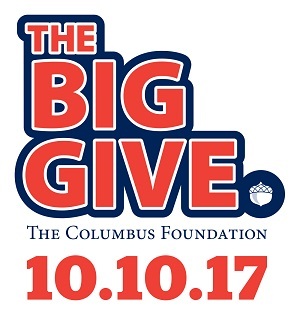 The Columbus Foundation announced today that The Big Give, its signature online giving rally, is back for the first time in more than 2.5 years. It will take place from October 10 at 10 a.m. ET through October 11 at 12:00 p.m. ET at columbusfoundation.org, and for the first time ever, Licking County nonprofits will be eligible to participate and donors can have their contributions amplified thanks to The Columbus Foundation’s Bonus Pool. by utilizing The Columbus Foundation’s Giving Store, which includes nearly 1,000 nonprofits in a 10-county region. All gifts received during the 26-hour online event will be amplified on a pro rata basis thanks to a $1.3 million+ Bonus Pool made possible by generous donors and corporate and community partners, including the Licking County Foundation. In addition, all Big Give credit card fees are covered by The Columbus Foundation, meaning 100 percent of every donation made will go to the nonprofit(s) selected that are part of The Giving Store. “We champion events like The Big Give to support the great work of our nonprofits over a 10-county region and show what our community can collectively accomplish through kindness,” said Douglas F. Kridler, President and CEO of The Columbus Foundation. New this year—nonprofits in 10 counties (Delaware, Fairfield, Franklin, Hocking, Licking, Madison, Morrow, Perry, Pickaway, and Union) are eligible to participate. The Columbus Foundation is working with community foundation partners from the Delaware County Foundation, Licking County Foundation, Pickaway County Community Foundation, and the Union County Foundation to help spread the word and expand the reach of The Big Give. Everyone can participate in The Big Give, and make their gifts extra special by donating in honor of, in memory of, or on behalf of a friend or loved one. Giving is easy on any device. All major credit cards, with a minimum donation of $20, are accepted. The Columbus Foundation is including an option in this year’s Big Give to support the Hurricane Harvey Relief Fund of the Houston Community Foundation as the area recovers. The fund was created by Houston Mayor Sylvester Turner. Current Big Give Promotional Partners include Donatos, Homage, Jeni’s Splendid Ice Creams, Piada, and White Castle. Exciting rewards will be announced in the coming weeks for Big Give participants. Created in 2011 to give nonprofits an economic boost, the past three Big Give events (2011, 2013, and 2015) leveraged a total of $34.2 million for central Ohio nonprofits. For more information about The Big Give, visit columbusfoundation.org. The Licking County Foundation helps people leave a lasting legacy to the community. We are many causes and generous donors with one common desire: to improve the lives of the people in our own backyard. Established over 60 years ago, the Foundation has grown to more than $90 million in assets through generations of gifts made by compassionate donors. Investing in our home has changed the lives of countless people by providing resources to a neighbor in need, helping a student achieve their dream of college, enhancing the beauty of our parks, supplying books to encourage an early love of reading, and much more. To find out how we can help turn your compassion into action call 740-349-3863 or visit thelcfoundation.org. The Columbus Foundation is the trusted philanthropic advisor® to more than 2,500 individuals, families, and businesses that have created unique funds and planned gifts to make a difference in the lives of others through the most effective philanthropy possible. More than 70 years strong, The Columbus Foundation is the eighth largest community foundation in the United States. The Foundation’s new Giving Store is a one-stop shop for easy and effective philanthropy. Explore The Giving Store at columbusfoundation.org.